This game is dark, simple, and fun. 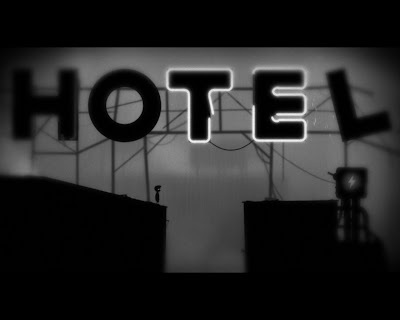 Full of trial and error, the player seeks to make his/her way through the game with little more motivation than seeking some sort of answer or escape. See my comparison of Limbo with Braid below. Tip: Don't touch a saw. So far I've logged a total 1.1 hrs on Steam and the last time I played was 20120319. Prior to the first time I played the game on Steam, I had already seen and helped my friend play through a portion of the game on Xbox Live Arcade (from Chapter 1 to about Chapter 19). I should clarify and say that simple means the basic mechanics are straightforward. After all, you have the control key for your actions, and then left, right, up, and down for your directional controls. And that's all there is to it! I should also add that the game can be quite morbid. Seeing as I was so close I decided to push on and at 4:16 AM PDT I was able to solve the puzzle. I completed the game a little before 5:00 AM PDT. Hooray! One of many ways to die. One of many deaths. Without spoiling the ending, I would say that at first I thought the game had gone back to the beginning. Instead, there was something different and I was surprised. There was certainly some shock value involved, but in the end I was left a bit unsatisfied. The ending was too open-ended. Perhaps I'd be more satisfied after a second playthrough. The game best compares with Braid (2009) (PC). 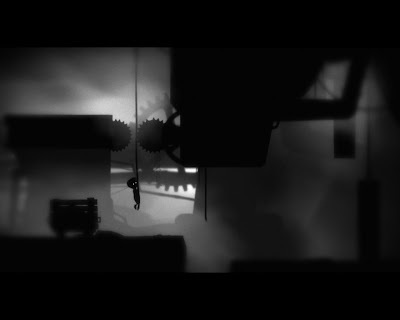 First, the puzzles are integrated into the environment, giving a more streamlined gaming experience. 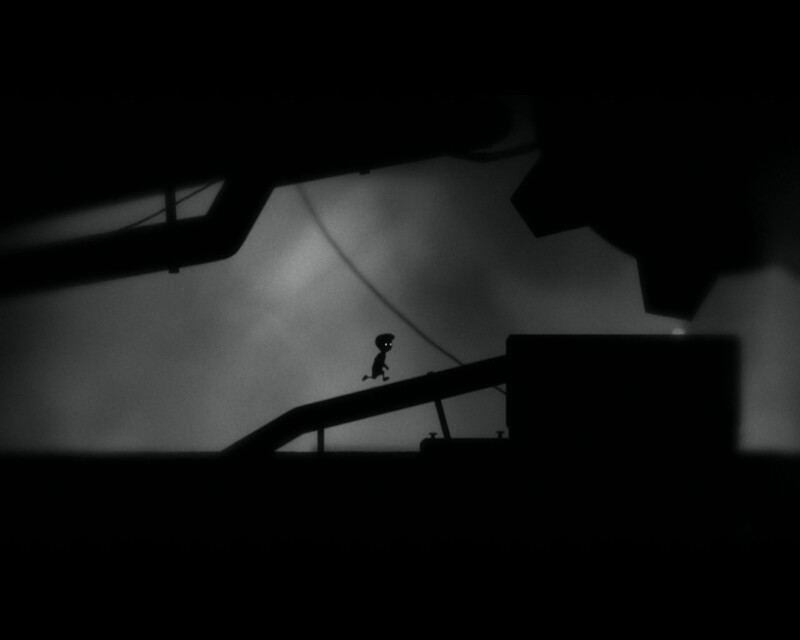 Like the puzzles in Braid, the puzzles in Limbo change throughout the game at a comfortable pace, keeping the game constantly fresh and entertaining. 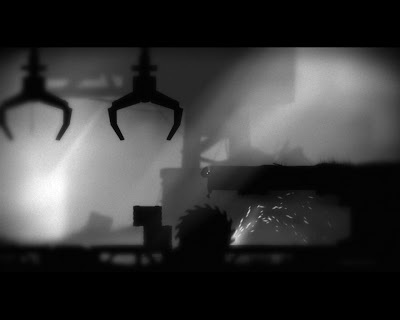 While the gameplay portion of the two games are similar, the story portion is handled quite differently. 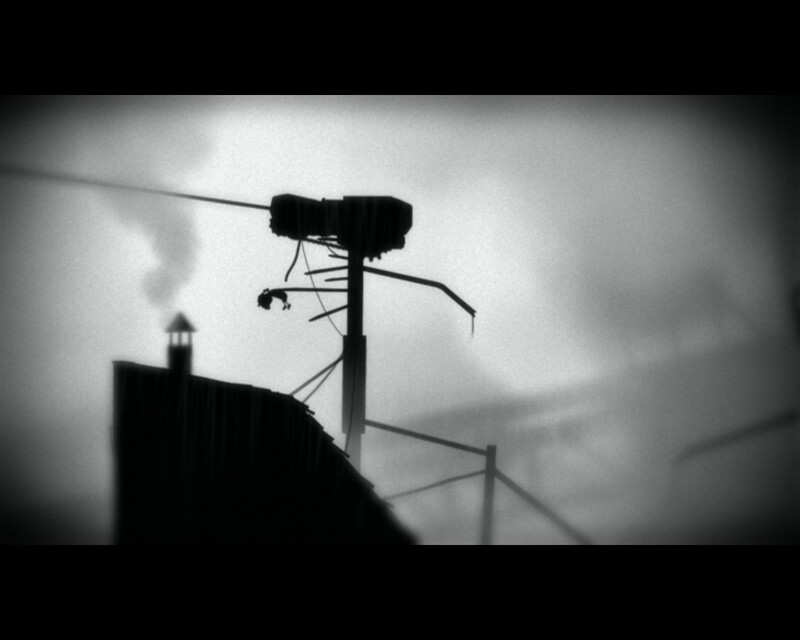 Braid has a strong, concrete story whereas Limbo has a loose, weak story. 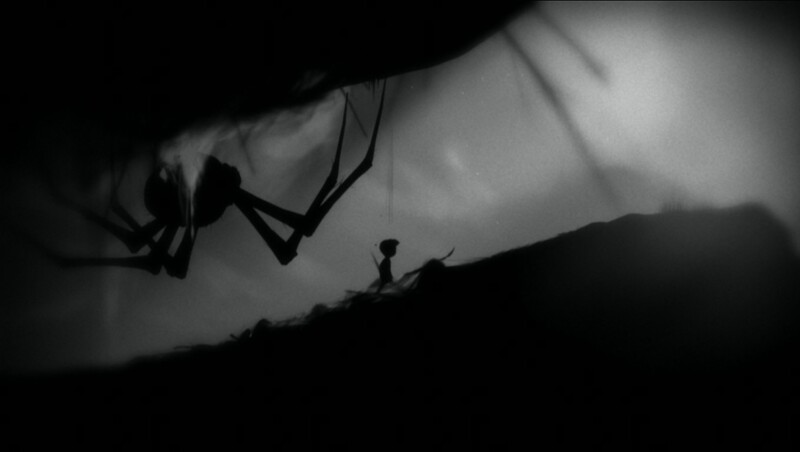 Strangely, I find Limbo's vague story fits into the setting and atmosphere of the game, as well as the motivation for traversing the world itself. In contrast, while Braid has a solid story, I honestly didn't follow it completely and definitely didn't see how it motivated the character's time-altering abilities. 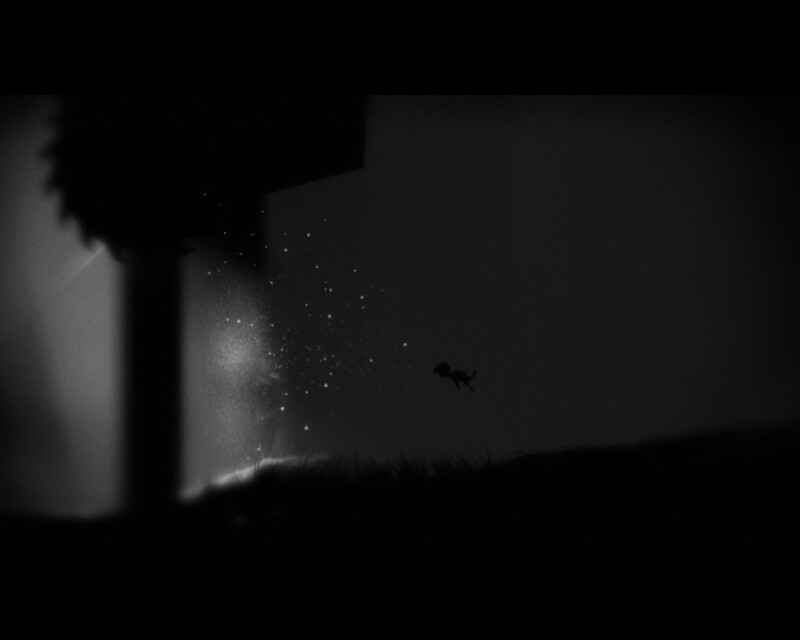 Despite my last statement, Braid has a wonderful ending which does shed a lot of light on the entire story and Limbo's ending is nothing compared to Braid's ending. Overall, I'd conclude that both games are top-notched puzzle games, each with their pros and cons, and as such practically equals. If I were to choose one over the other, I'd choose Braid. Despite the fact Braid's story doesn't completely intermingle with its game mechanics, Braid has slightly better puzzles, a stronger story, and a much better ending than Limbo. Today: 3.8 hrs. Grand total: 4.9 hrs.